Ready to find out what I'm Head Over Heels for? Okay, maybe you're not (but here's to hoping there's a little interest!). I've been thinking about this for a while and finally decided to just do it and see how it goes. I write mostly about what projects we are doing in our home, which includes a lot of work and inspiration. In between all the work I end up finding so many things that make me feel inspired or excited! I'd love to have a way to share them (without having a whole separate blog, that sounds like too much work)! So, I have decided in true Hammers and High Heels spirit to write a weekly post about what I am Head Over Heels for at that point in time. Sound okay?!?! Oh, and I had a blast making this little logo! ﻿I will be writing my first post in the series tomorrow, after that you are free to tell me if it is a horrible idea and I should just stick to the house stuff. Sound fair? As I said before, I get inspired by just about anything, so my weekly obsession might range from some sort of antique (standard to my usual) or fashion, events, people, places, humor, etc. I promise to keep it intesting and inspiring. I think this month might be sort of my test phase and we will see how it goes. 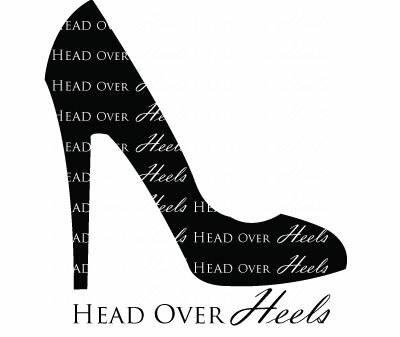 Find out tomorrow what I am Head Over Heels for this week! 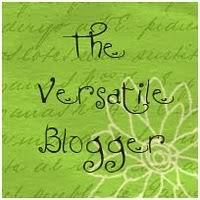 PS- Holly over at Chic and Lovely included our blog in the Versatile Blogger Award! I graciously accept and am ready to spread the blog love back into the blog-o-sphere! Here are the award guidelines for the next group of lovely bloggers I am going to link up! Warning: it is a lot of working doing all the linking, but you have to love the fun spirit of the blog world! So.... here are 7 random facts about ME! 7. Lastly, (ready for this one) I worked at Cedar Point Amusement Park for 1 month after my first year of college... yep, I was sort of a "carnie" for a while, haha!!!! That last one always cracks up my friends! It is soooooo not me, and if you are curious, the operated the "Power Tower" ride. Here are 15 blogs I LOVE and you should check them out! DIY Vintage Crate Shelving Unit and "C2T39"